One of my first games ever (if not the first), made somewhere between 2002 and 2003 (around 10 yo). 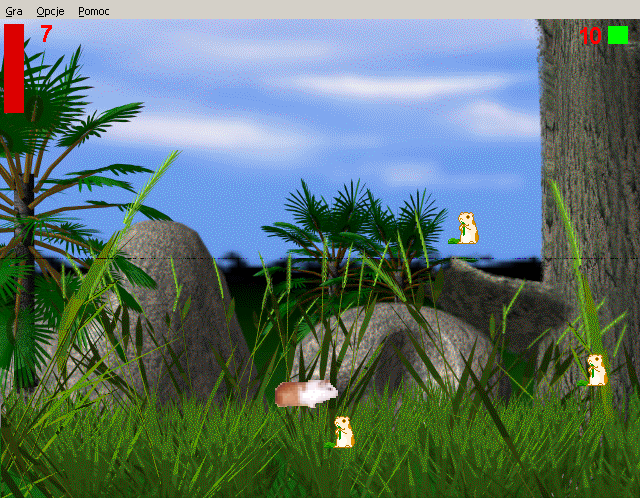 It's a simple game about a guinea pig which found itself very hungry after evil hamsters stole all the grass hay from her. Made in The Games Factory, re-exported with The Games Factory 2 (I've only found the project file). Works under Wine. It's in Polish, but not knowing it shouldn't be any problem. Warning: This game uses a non-FLOSS engine (The Games Factory).